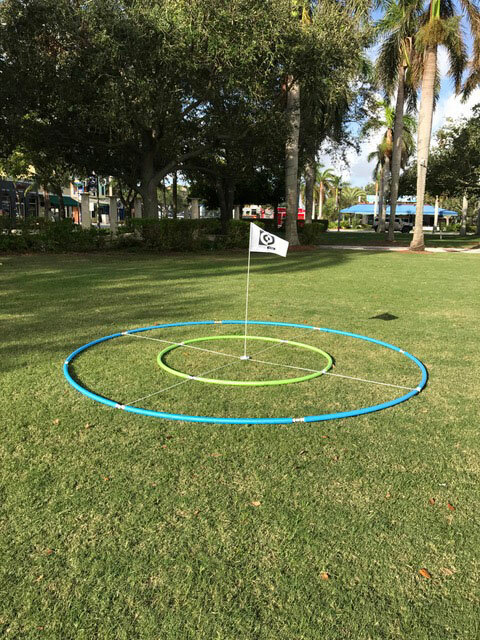 The Target Golf Game allows you to play a round of golf in your backyard or on your lake! 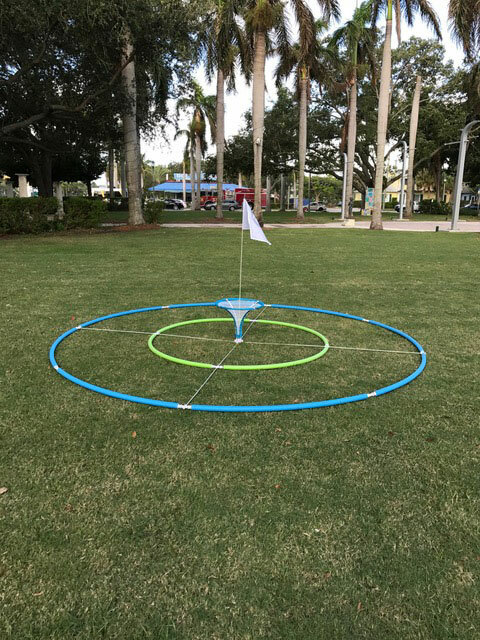 Here at BirdieBall, we enjoy seeing how other companies can incorporate the BirdieBall into their games and golf scoring systems. 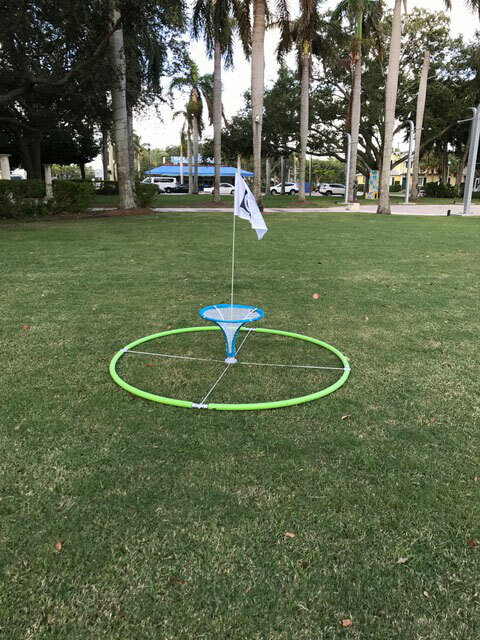 TARGET GOLF is an independent company that has developed a target which can be assembled quickly to play a fun backyard game (scored much like conventional golf). As a stocked re-seller, we have a very special introductory price of $599. 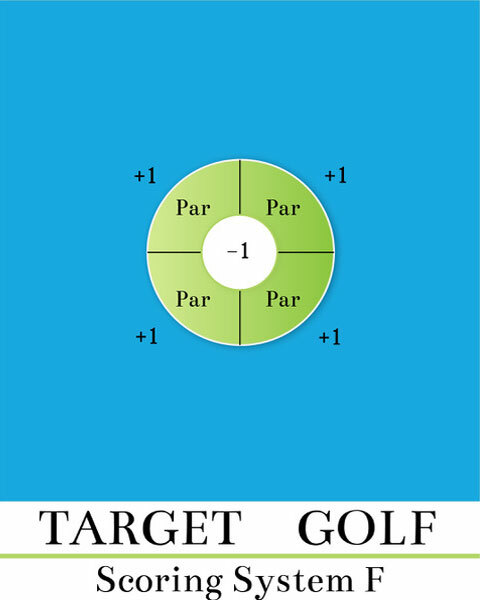 TARGET GOLF is a Portable Golf Game and a new and exciting way to learn, practice, or play golf. The game can be played by anyone, in a fraction of the time of a real golf game! 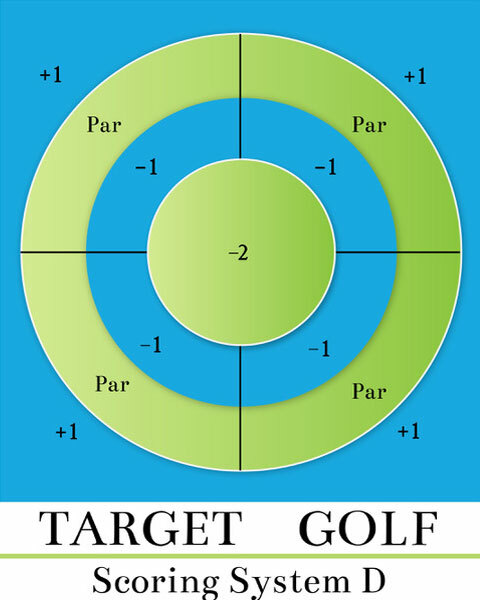 Target Golf is an addictive, fun game! The game is played with real golf clubs, limited flight floating golf balls (BirdieBalls), and a patented target & scoring system. BirdieBalls allow the game to be played with much less space than a real golf course. The scoring system is relative to being over or under Par. Par is equal to zero (or even). A value is placed on the 5 different scoring zones, delineated by the concentric circles. The score is determined by the final lie of the BirdieBall, regardless of any bounce or deflection. Establish an order of play for the players before a round begins, and maintain that order throughout the round. Order can be changed for subsequent rounds. 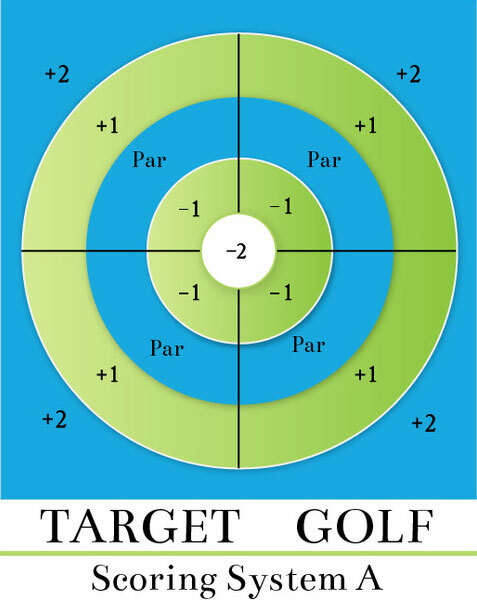 Each player takes one swing of the golf club from the hitting area in an attempt to hit the BirdieBall toward the target to achieve a score. 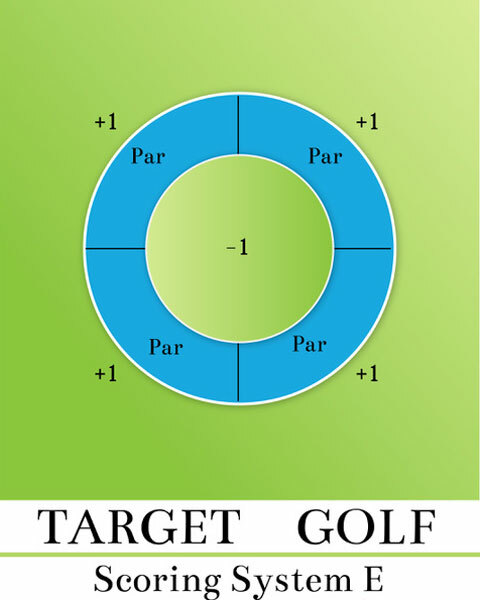 Each hole is completed with one shot from each player, and the score for that hole is recorded based where the BirdieBall lands. Play continues in this format through either 9 or 18 holes and the scores are totaled at the end of the round. The lowest total score wins the round. Tie-breakers should be determined by a playoff in which the first player to win the next subsequent hole wins the round. 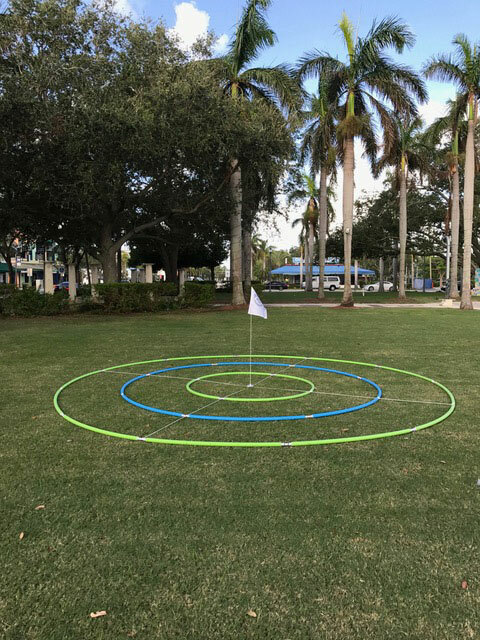 The hitting area is set up at a pre-determined distance from the center of the target and the entire round can be played from this one hitting area. 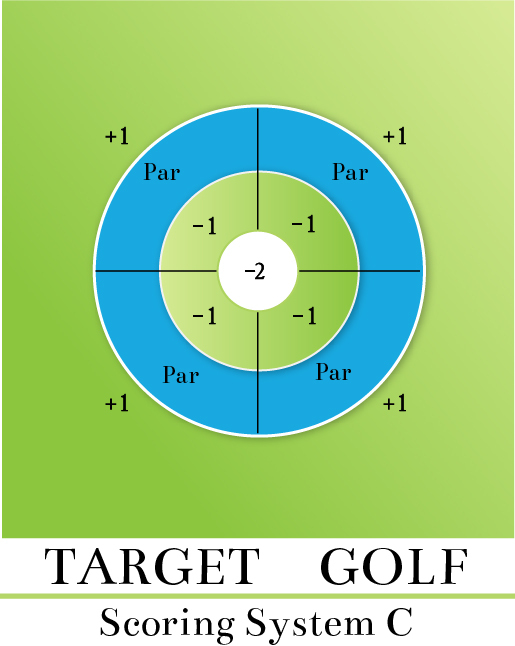 Multiple hitting areas can also be set up to create different hitting distances (20, 30, 40, or 50 yards from the target) to reflect varying degrees of difficulty for each hole (for a multiple hitting area setup, rotate through the hitting areas for each hole). Each player is given the pre-determined number of balls at the beginning of the game. We suggest either 9 balls for 9 holes, or 18 balls for 18 holes, relative to the game of golf (each player should use a different colored ball when possible, to avoid confusion). The ball is scored where it comes to rest regardless of the bounce. The score for each shot should be agreed upon after coming to rest in or around the target, and should be a unanimous decision by all players, before being recorded on a score-card. 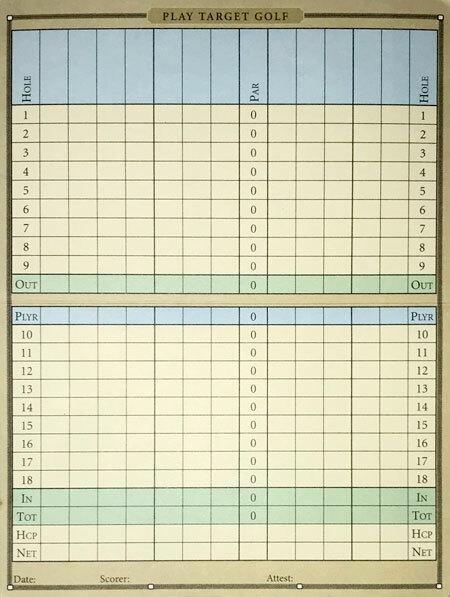 After each hole is played, the player, or the scorer, writes the score in the appropriate spot on the scorecard for each hole. Any shot that cannot be determined from the viewpoint of the hitting area should be easily determined upon closer inspection. 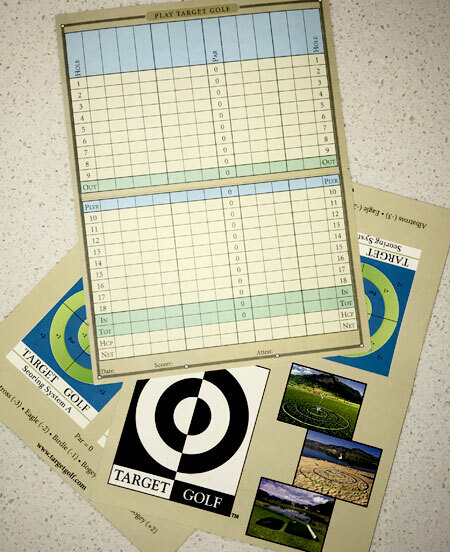 We designed the Target Golf Game to have multiple variations for learning, practicing and play. Close 2 Pin, Backyard Chipping Game!